iTabla Pandit Professional is the most realistic Digital Tabla, Tanpura and Shruti Maestro. With it, you don't need anymore your electronic tabla or tanpura. 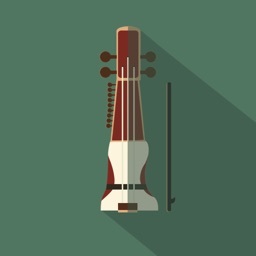 It will become your favorite accompaniment tool of your musical practice and your concerts of Hindustani and Carnatic Indian Music, creating a wonderful atmosphere. It has a full screen iPad application, very convenient to use. 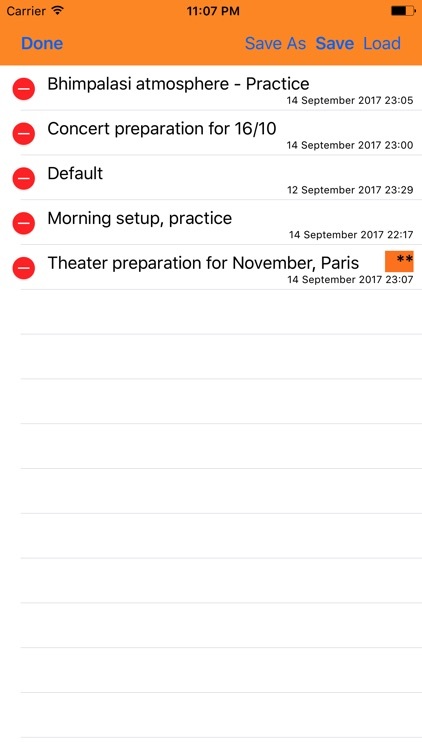 ◊ Easy to configure, just take it out from your pocket, start it and enjoy! 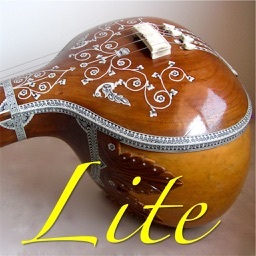 Our digital tanpura, shruti and tabla (taal mala) are based on real instrument sound samples, recorded in studio with a master sound engineer and professional musicians. The sound samples extracted from the recordings are carefully selected and masterised for the best musical rendering. We don't use any compressed mp3 sound. Our aim is to provide to the musicians an ambiance of real instruments. 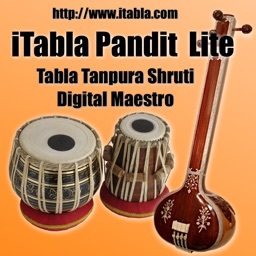 Several high quality and perfectly tuned tampura sound samples are provided within iTabla Pandit. You can use them in ANY PITCH by changing the key. How to change the sound? Just select your new sound in the list and the instrument will play with this sound. 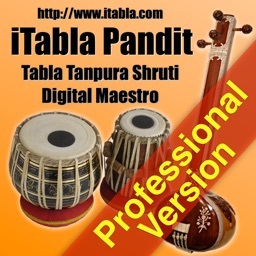 iTabla Pandit includes a set of stereo tanpura sound samples, recorded with AB stereo microphone technique. 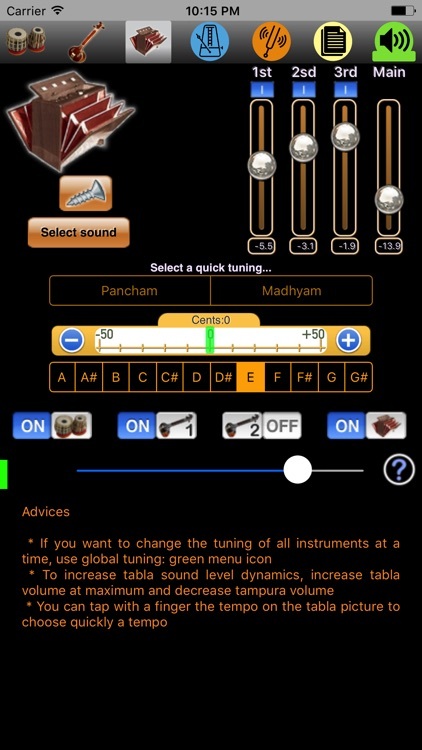 For the future updates of iTabla Pandit (and iTabla Desktop, Tampura Generator on computer), we're planning to record new sound samples to provide more variety and best quality to the musicians who trust in our software. In 2011, some new sounds recorded in XY technique will be available. Our software provides a very convenient way to save and reload all your different instrument settings. With the presets, you can save multiple configurations for multiple usages. 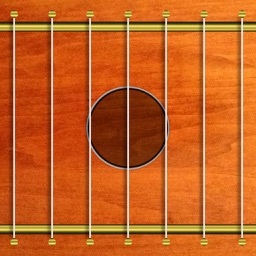 You save time and don't loose your tunings. 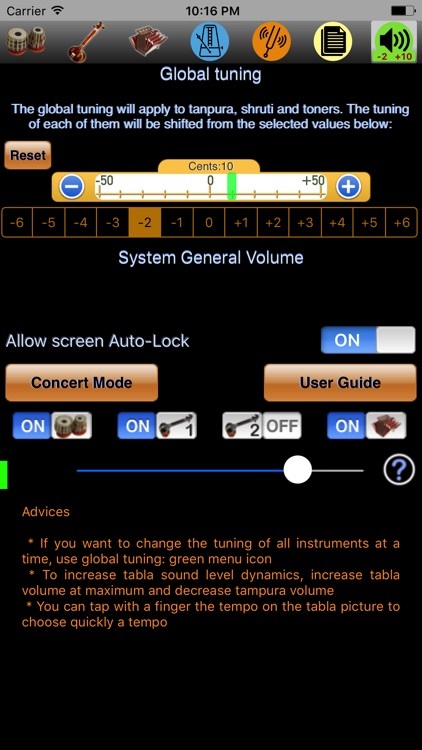 For example, for a concert, you may have a preset for each song you're playing. By default, when you quit, the current configuration is saved and restored at the next startup. 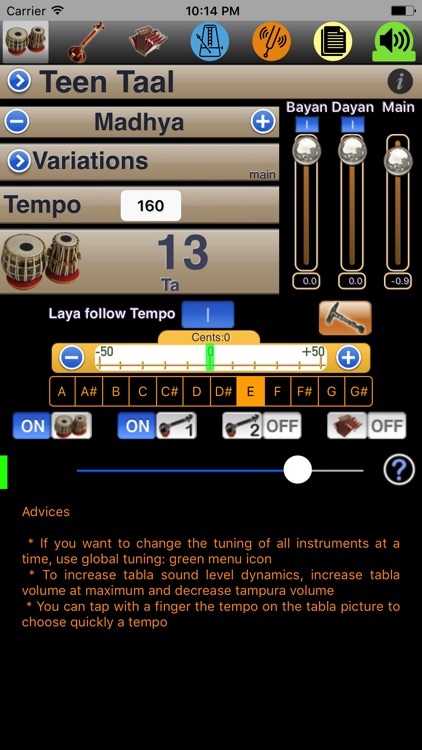 The original iTabla is acclaimed by many professional musicians since 2007 on computers, and since 2008 on iPod Touch/iPhone. 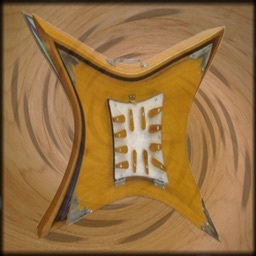 Get the original iTabla today, get the original and true sound of hindustan tanpura & shruti. It takes it roots in Tampura Generator, a digital tampura and shruti for computer, which started its live in 2005. 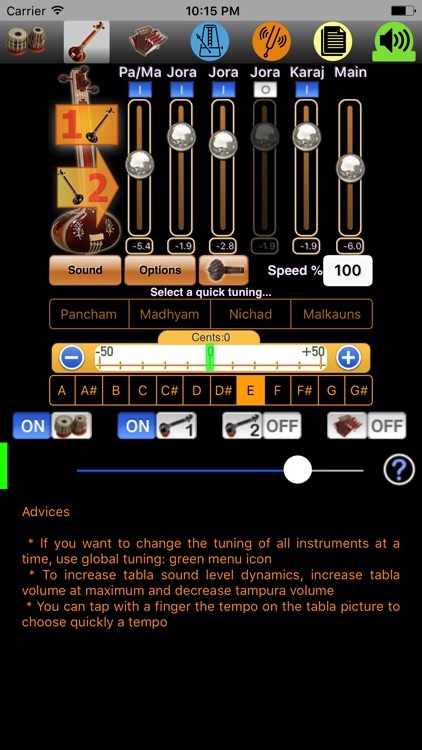 This version includes a new sound engine improving the sound and saving battery: Now, you can play tabla+tanpura for up to 24 hours continuously (Details of the test on our website) ! You're invited to visit http://www.itabla.com for more information.